When someone finds out that I teach classes about saving money with coupons, I always get asked, “Can’t you just buy generic brands and save more?” Customers assume the Store brands are always less money. That’s not the case. Especially to an avid coupon user. 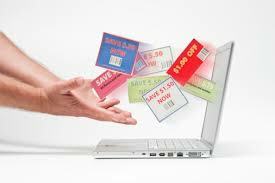 Coupons are the top brand name’s way of allowing their price to be less than the store brand. Many times I can pick up dairy products, canned goods, and snack foods for less than the store brand. Most coupons these days are good for $.50 per purchase (or items bought). Some coupons are good up to $2! Here’s an example: Mario Olives were on sale a week ago. The sale price was $1.25, the store brand price was $1.09. I had a coupon for $.50 on 1 to redeem. My final was $.75 saving me $.34 over the store brand. This is a simple case of saving on the top brand over the Store brand. Obviously the name brand olives are a better deal. Look for coupons next week from Mario that actually provide you an overage. Sometimes the store brand is much less expensive. That’s where using your VALUE system comes into play. I often purchase County Market Store bread. My kids eat peanut butter sandwiches for snacks and often my 9 year old will leave the bread tie off the bag. It becomes an automatic that by the time we’re at the end of the bag, it’s been exposed to air and needs to be tossed.So I choose to purchase a less expensive bread over the Sara Lee Honey baked bread, even though I personally love the honey wheat! For my own favorites, I use a coupon and keep the bread out of her reach. You may find that some of the store brands taste exactly the same as top name brands, and you may make a decision that the store brand is not up to your VALUE standards. Keep track! Put a note in your price book inside your coupon organizer. If you actively track your preferences you’ll feel better about making the decision when the time comes. Watch for ingredients needed. Some generics or store brand items will require milk, eggs, or even other ingredients. When combining those items, your cost per purchase may sneak up. Always check what needs to be added before buying.